Work Train Applications: Inverters in various sizes, from 5-20 kVA, are currently utilized by such customers as Amtrack and the MBTA for powering equipment on third rail 450-750 VDC Work Train Applications. Everything from hand tools to lighting run on Nova inverters. Even on-board electric toilets are powered by our inverters! Trolley Applications: Nova has supplied specialized inverters for many custom Trolley Applications. In addition to our other custom designs, we have designed and built special inverters modified to accept 900 VDC continuous input at the customer’s request. Nova inverters are also used to power lighting on Historic Trolley Systems across the country. The next time you see a restored trolley, remember that the lights are probably powered by Nova! 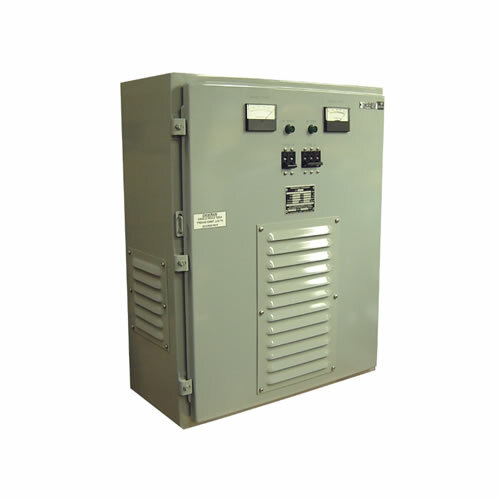 Subway Applications: Our durable 600 VDC inverters are currently being used by such customers as Chicago Transit Authority and Long Island Railroad for such various applications as providing emergency power from the third rail. Quite often, it is cheaper and more pragmatic to install an inverter in a hut (shed) on a siding than to run AC power from a distant location. Custom Applications: Nova offers an almost infinite combination of custom cabinets and configurations to satisfy almost any application! Mobile applications, as well as outdoor applications subject to rain, snow, ice, wind, etc. are one of our specialties! Our inverters are extremely rugged by design, and feature an advanced Internal Suppression Filter Network to suppress the significant transients usually associated with these applications. Please don’t hesitate to contact the factory for additional information. Frequency Regulation: +/-0.5% N.L. to F.L. Voltage Regulation: +/-1.5% N.L. to F.L.